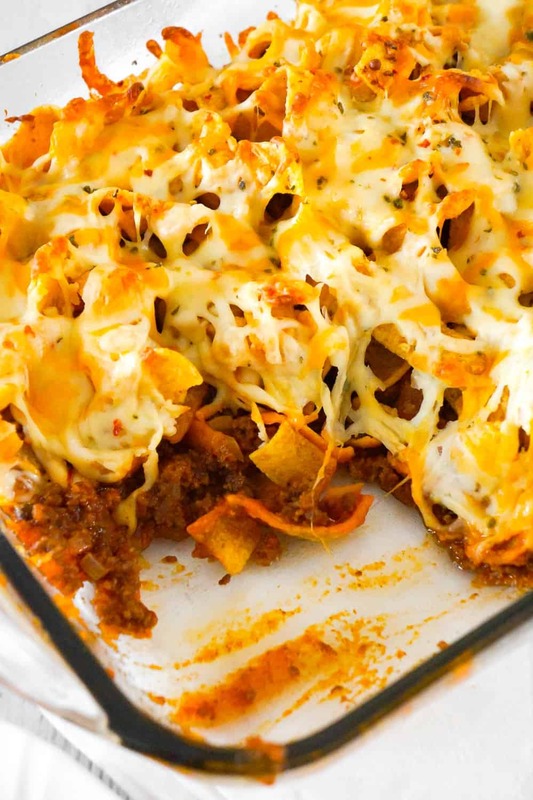 Pizza Frito Pie is an easy ground beef dinner recipe. 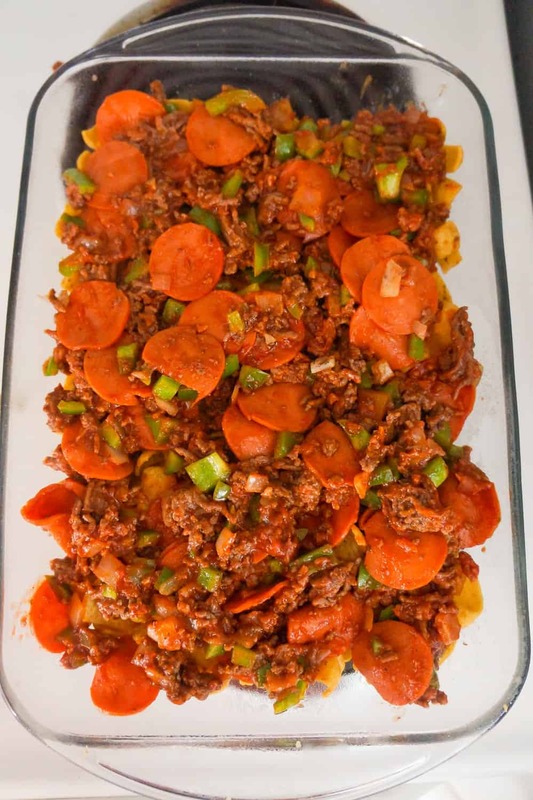 This fun twist on the classic Frito pie is loaded with pepperoni, green peppers and bacon. 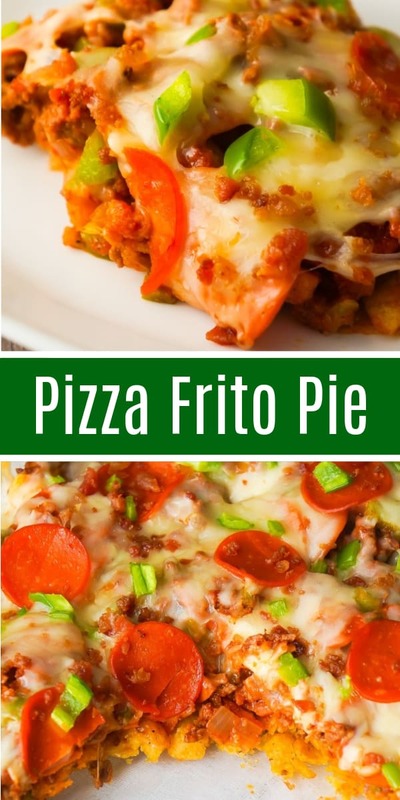 Watch the video to learn how to make Pizza Frito Pie! 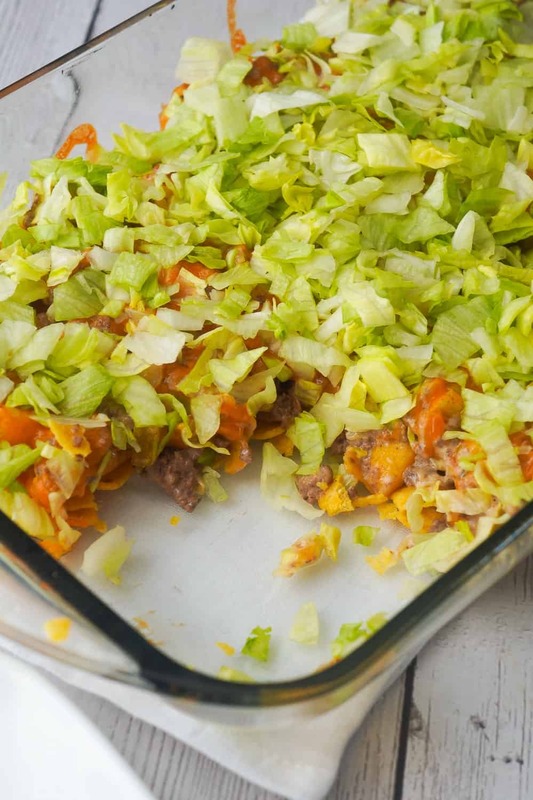 To make this simple dinner recipe, I started by browning some ground beef in a large frying pan. While the ground beef was cooking I added some diced onions, salt and pepper to the pan. Once the beef was fully cooked and the onions were starting to brown I added some pepperoni slices, diced green peppers, pizza sauce and real bacon bits to the pan. 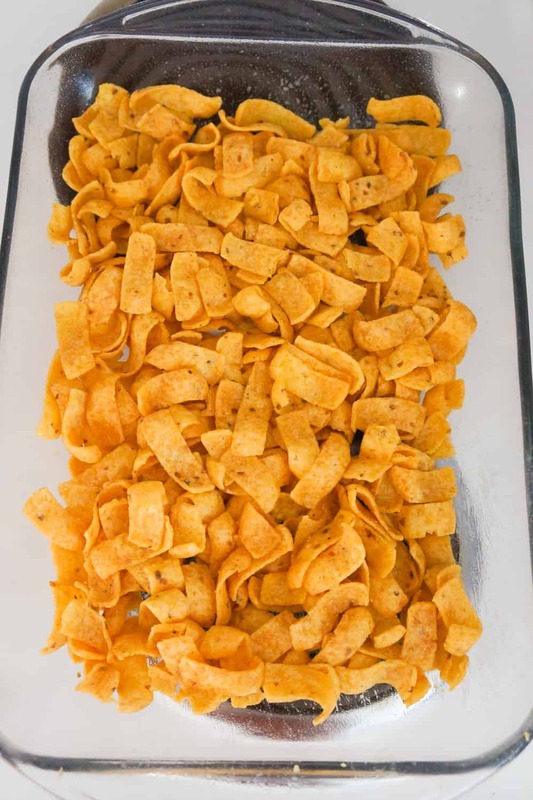 Then I poured some Frito’s corn chips into the bottom of a greased 9 x 13 inch baking dish. I spooned the ground beef mixture over the corn chips being careful to spread it out evenly. Then I sprinkled some shredded mozzarella cheese on top. I placed some pepperoni slices on top of the cheese and then sprinkled the dish with diced green peppers and real bacon bits. Then I placed the dish in the oven and cooked it until the cheese was just starting to brown. 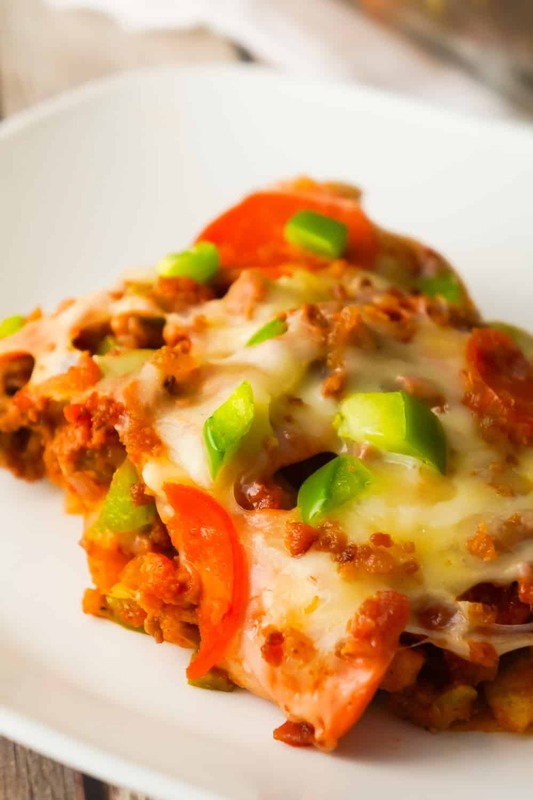 This easy ground beef dinner recipe has all the flavours of pizza on a crunchy corn chip base. 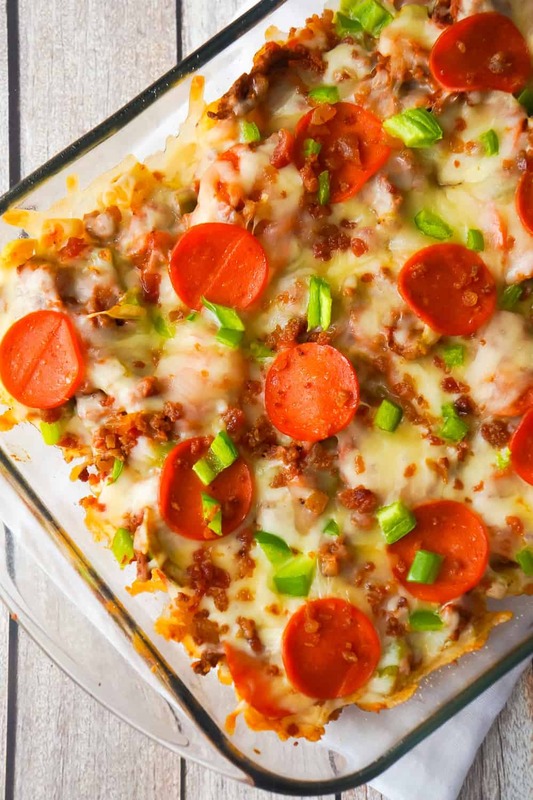 Make this Pizza Frito Pie when you need a simple but delicious dinner in a hurry! Another delicious Frito pie recipe. Check out this Big Mac Frito Pie! Be sure to also check out these BBQ Fritos Chicken Sandwiches! 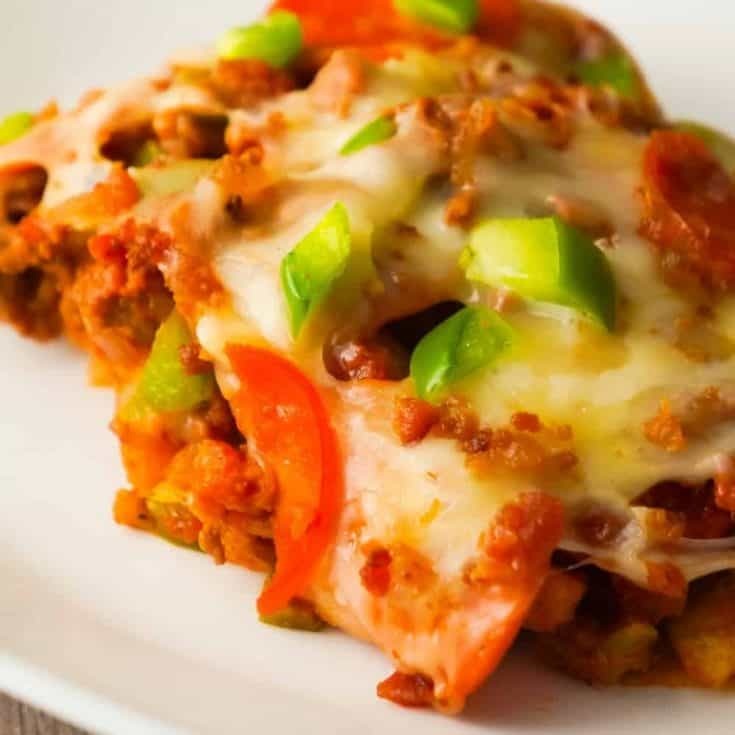 Pizza Frito Pie is an easy ground beef dinner recipe. 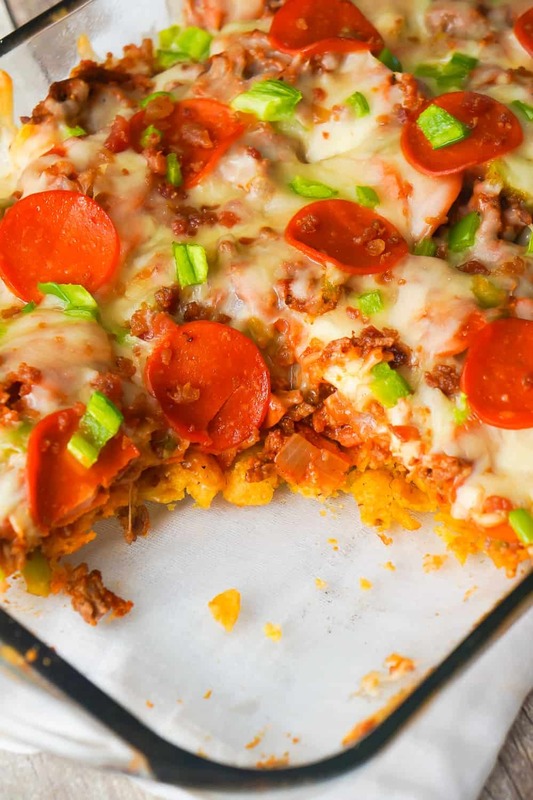 This fun twist on the classic Frito pie is loaded with pepperoni, green peppers and bacon. 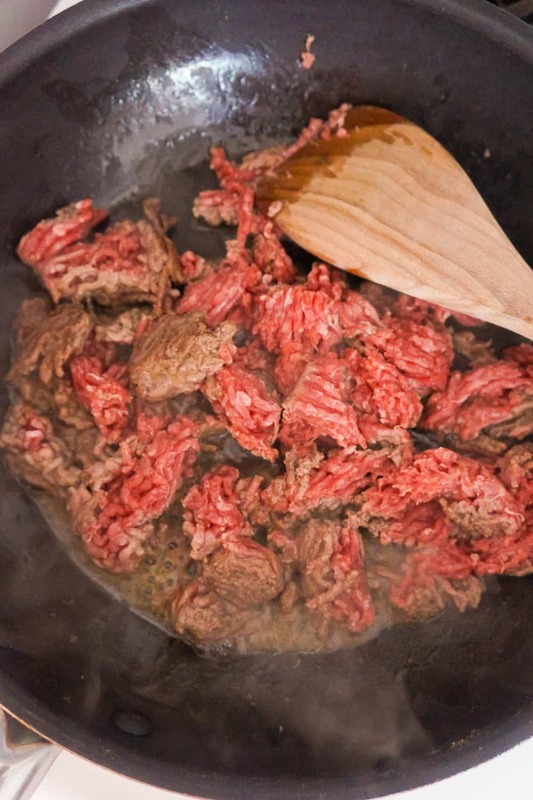 In a large frying pan over medium-high heat brown the ground beef with a dab of butter or margarine. 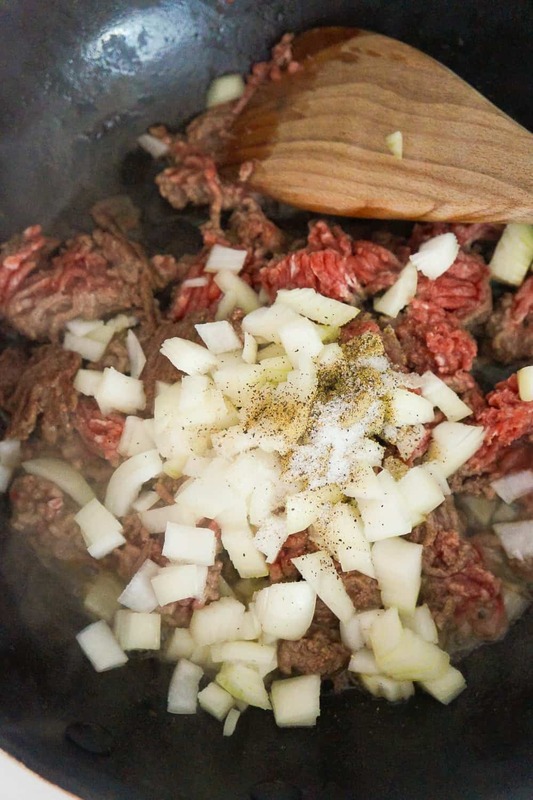 While the beef is cooking add the diced onions, salt and pepper to the pan. Cook until you don't see any pink on the beef and the onions are starting to brown. Reduce heat to medium. Set aside 1/4 cup of the pepperoni slices, 1/4 of the green peppers and 1/4 cup of the bacon bits. You will need them for the top of the Frito pie. 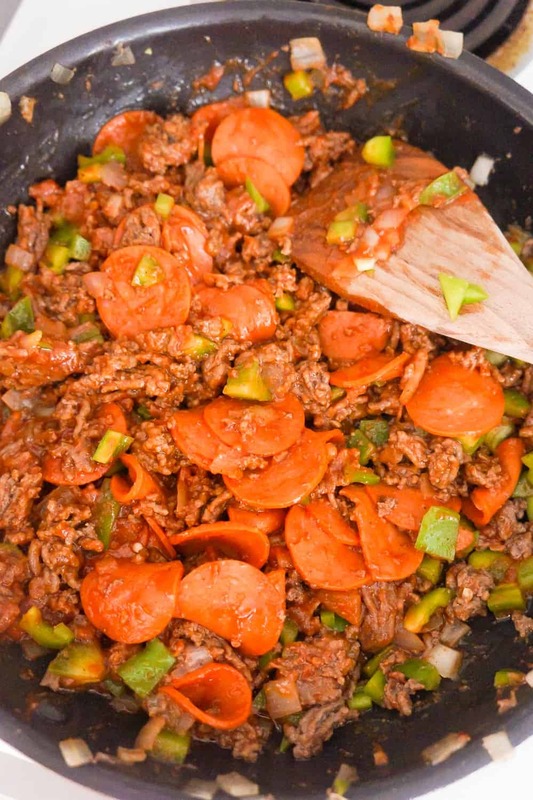 Add the remaining pepperoni slices, diced green peppers and bacon bits to the pan with the ground beef. 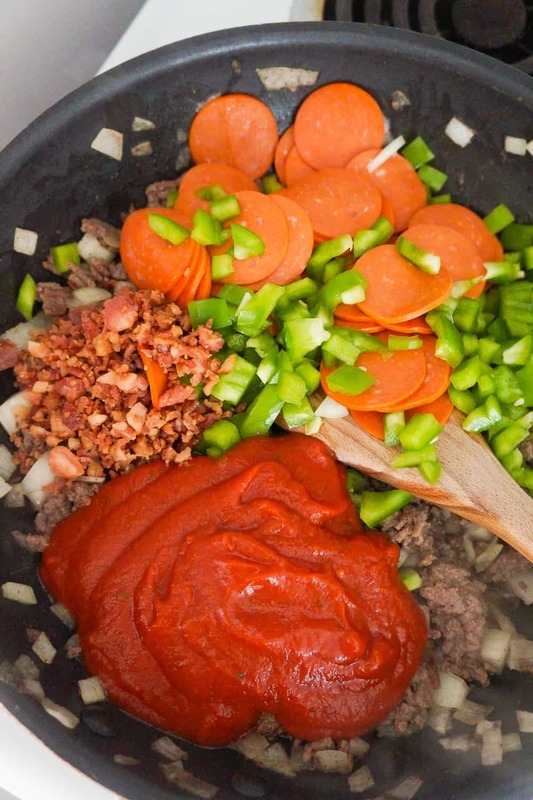 Add the pizza sauce to the pan as well. Stir all of the ingredients together really well. Pour the corn chips into the bottom of a greased 9 x 13 inch baking dish. 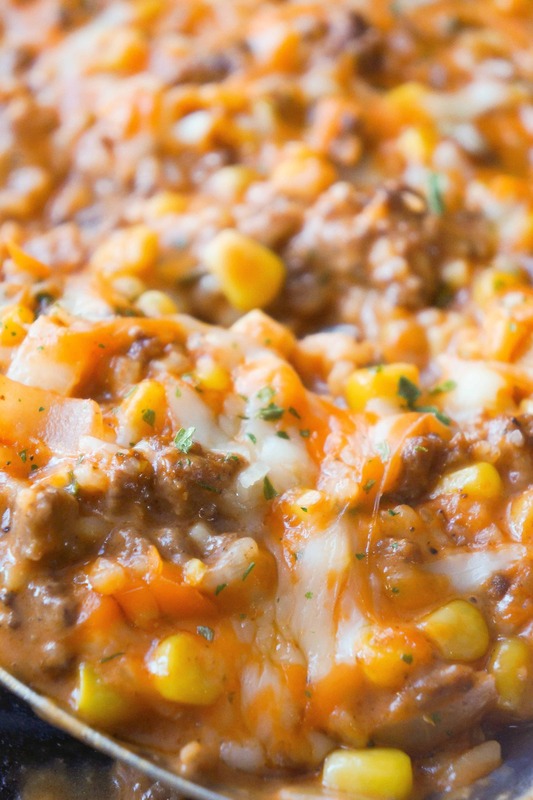 Spoon the ground beef and pepperoni mixture over the corn chips being sure to spread it out evenly. 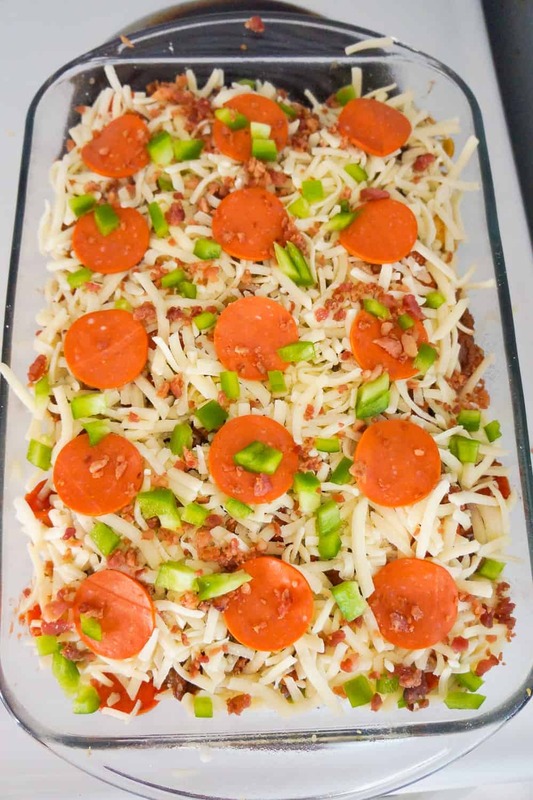 Take the pepperoni slices that you set aside earlier and lay them on top of the cheese. Sprinkle the remaining diced green peppers and bacon bits on top. 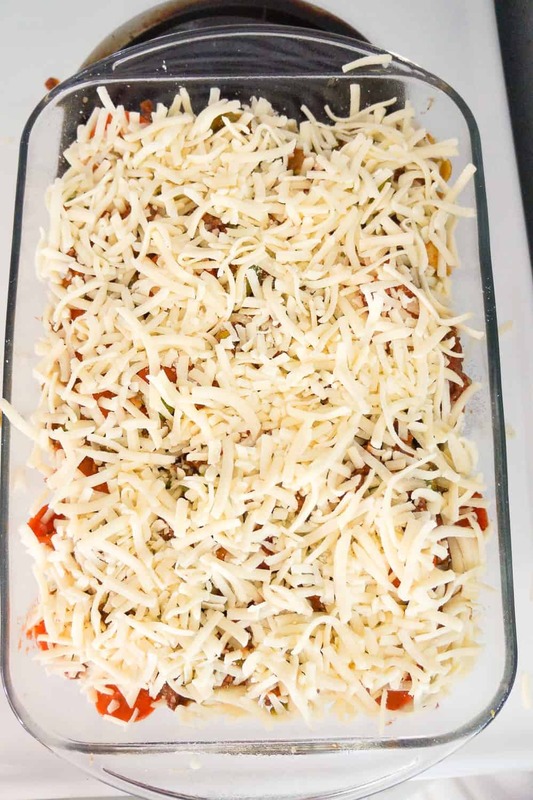 Place the dish in the oven and cook until the cheese starts to brown. 10-12 minutes.